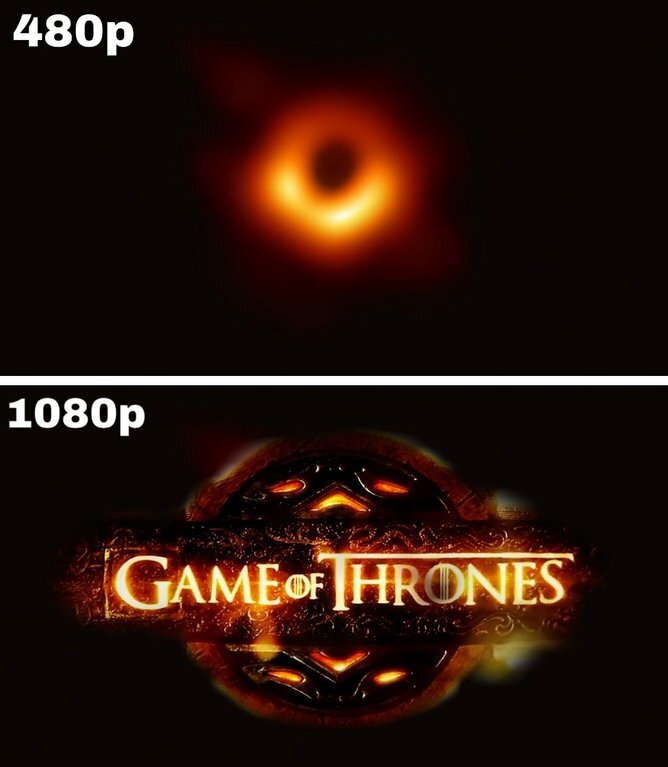 The very first picture of a black hole. Discussion in 'Real Life Discussion' started by KHAAAAAAAN! !, Apr 10, 2019. 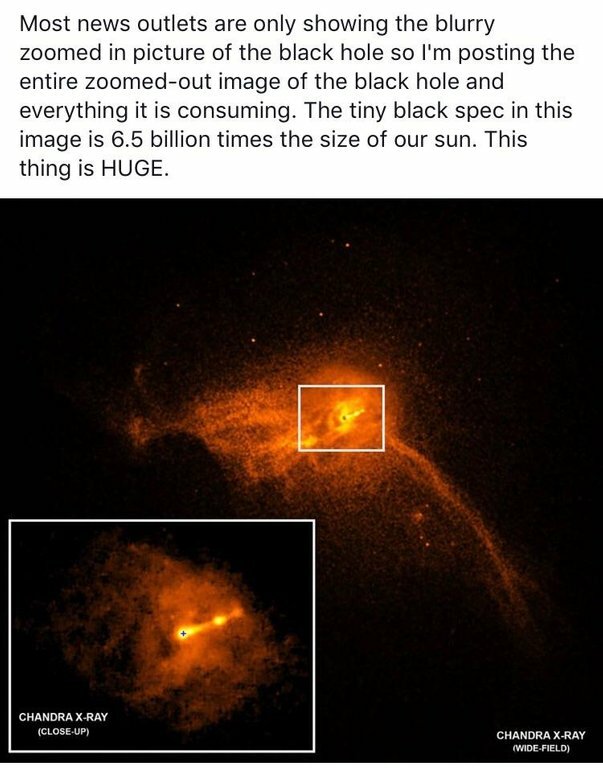 To be clear, you're seeing gas and light getting pulled down past the event horizon into a mass crusher 20 billion miles wide. Beyond the grave, Einstein is throwing a massive celebratory rager. If only Hawking could have hung on for one more year. Would have been so cool for him to see this. Come on... you knew someone had to do it. Here is the TED talk by the woman who created the algorithm,two years in advance. ScottPress, the Front Page of Reddit, thank you for you’re wonderful contributions. This is a great photo, a good mark in history, and I'm glad I got to see it. Hawking saw this - long before the rest of us. Thought it looked more like a pokeball myself. A pokeball meant to catch Arceus. That implies there's a staggering amount of mass inside Trump's skull,when I think we all know it's pretty hollow. Alternatively: It all goes there to die.